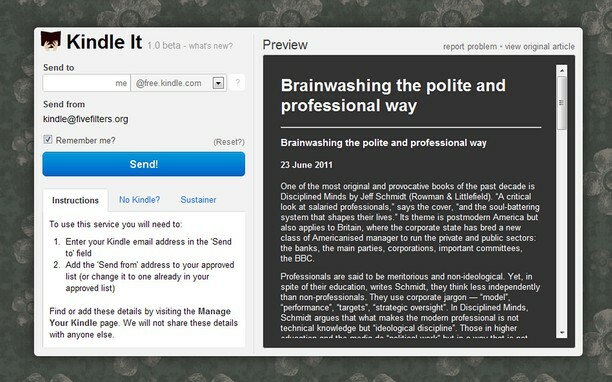 Push to Kindle is a free service which lets you send web articles (news stories, blog posts, Wikipedia entries, etc.) to your Kindle or other e-reader for easy reading. Installing this extension will add a send to Kindle button to Opera. Simply click the Push to Kindle button on a page which you'd like to read on your Kindle. 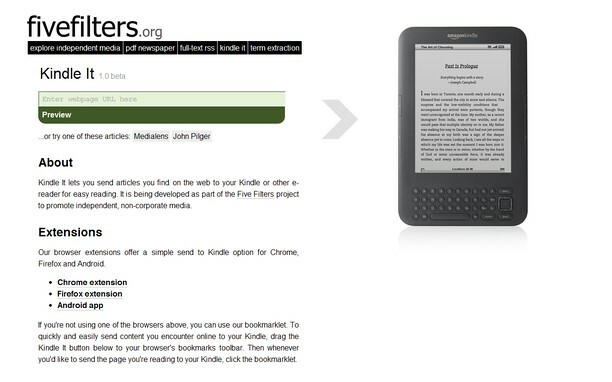 Use Push to Kindle to send a long web article to your Kindle to read later. Use it to build up a reading list of articles for offline reading. Or simply use it to improve your reading experience. Need article suggestions to test Push to Kindle?